Is a static website right for you? 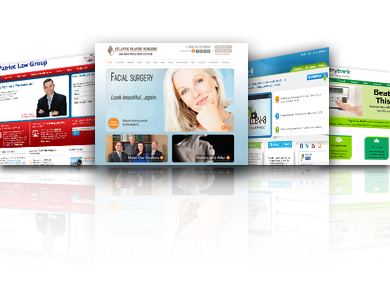 Static websites are extremely common due to the ease of development and design. Building a static website involves having knowledge about website design and development. 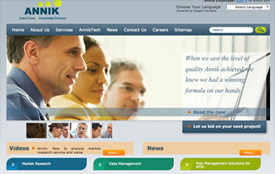 Static websites are written in plain HTML code. The purpose of a static website is to provide the main information about your company without any fancy "bells and whistles"-it is most common amongst small businesses.Having static website can be very beneficial for a business owner because static sites are inexpensive and easy to both build and maintain. Depending on your industry and business goals, those can be two very big advantages for your website design and development. Is a dynamic site right for you? Dynamic sites, on the other hand,are usually more expensive to develop initially. But they offer numerous advantages over time and are easier to update without the knowledge of HTML/CSS coding like a static website. With a wealth of features possible, a dynamic site is limited only by imagination.You can have a simple browser interface that makes it easy for you to update and add new content yourself. You can offer e-commerce, bulletin / discussion boards, intranet or extra net facilities or the ability for clients or users to upload documents. In addition, you can give administrators or users to create content or add information to a site with dynamic publishing. With a dynamic website, the possibilities really are almost endless for website design and development. Both dynamic and static websites offer different functionalities and limitations-it is important to analyze the website design and development needs of your company. A dynamic website offers ease-of-use across your company and for a lot of businesses, it is practically essential. But if your business doesn't need increased functionality and you don't anticipate many changes over time, a static site may be a smarter choice. A4DM is here to help you differentiate each type and choose the perfect fit for your website design and development.